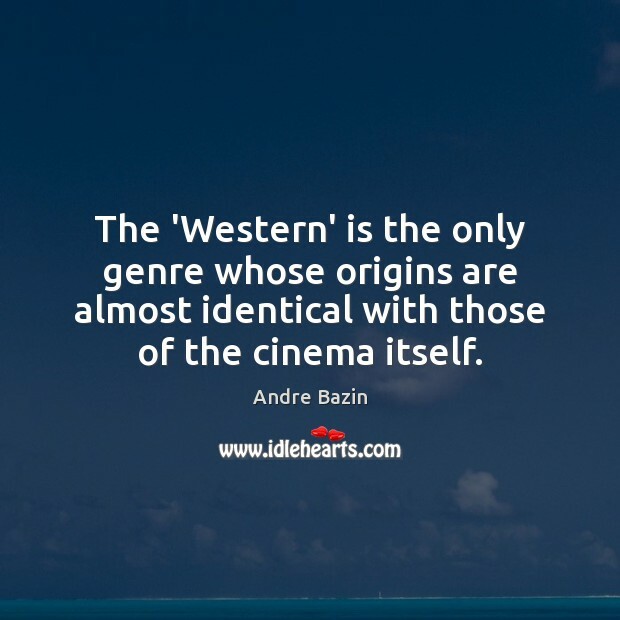 Enjoy the best inspirational, motivational, positive, funny and famous quotes by Andre Bazin. Use words and picture quotations to push forward and inspire you keep going in life! 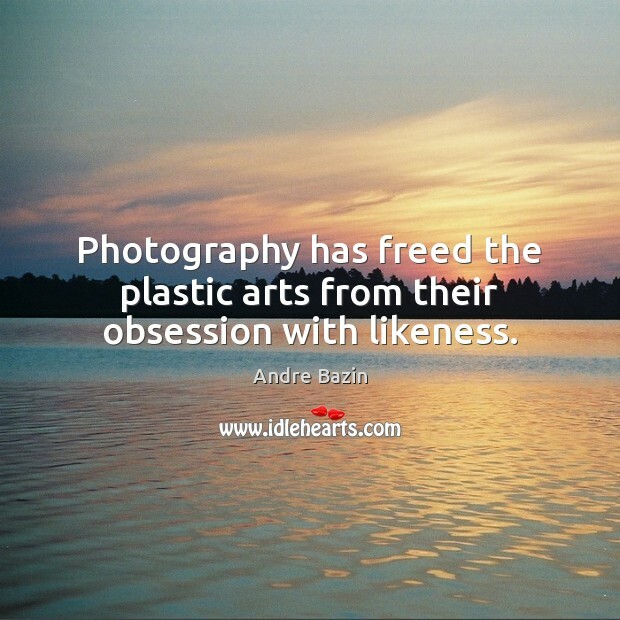 Photography has freed the plastic arts from their obsession with likeness. 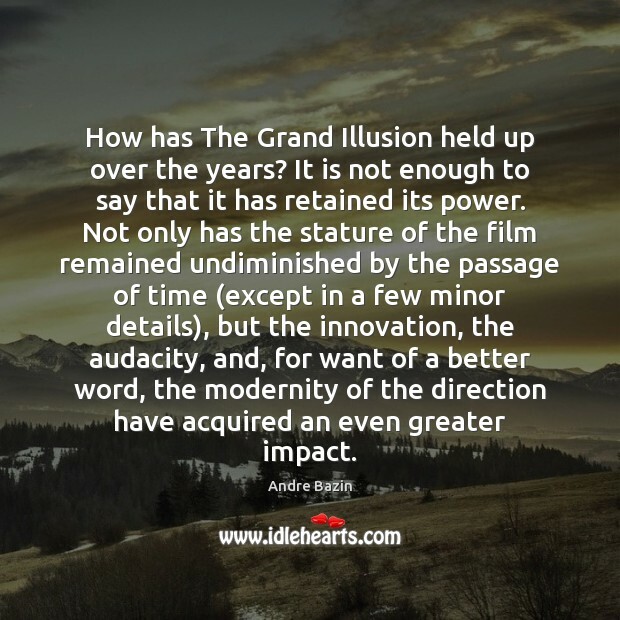 How has The Grand Illusion held up over the years? It is not enough to say that it has retained its power. 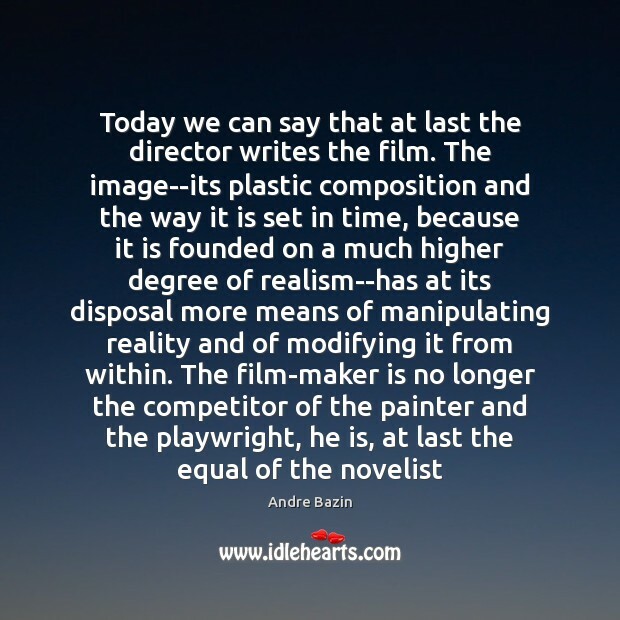 Not only has the stature of the film remained undiminished by the passage of time (except in a few minor details), but the innovation, the audacity, and, for want of a better word, the modernity of the direction have acquired an even greater impact. 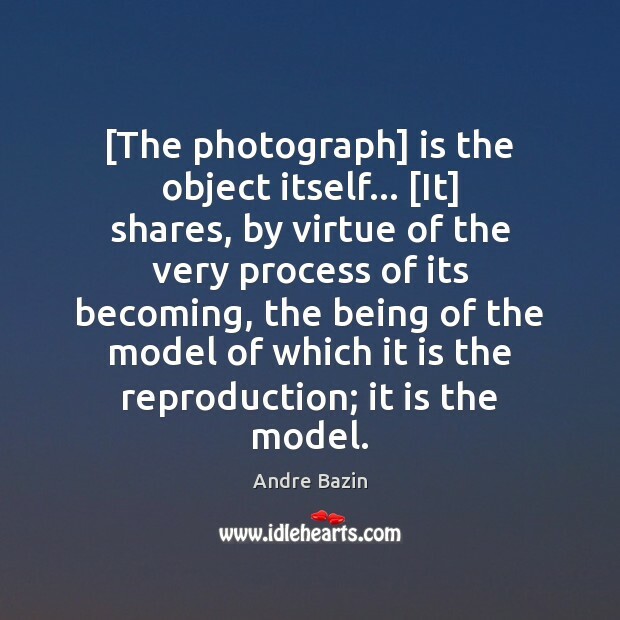 The essential factor in the transition of the baroque to photography is not the perfecting of a physical process... rather does it lie in a psychological fact, to wit, in completely satisfying our appetite for illusion by a mechanical reproduction in the making of which man plays not part. 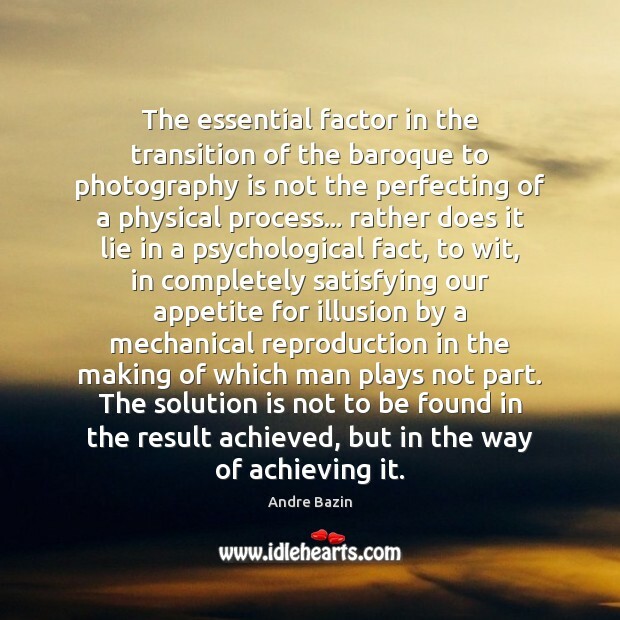 The solution is not to be found in the result achieved, but in the way of achieving it. 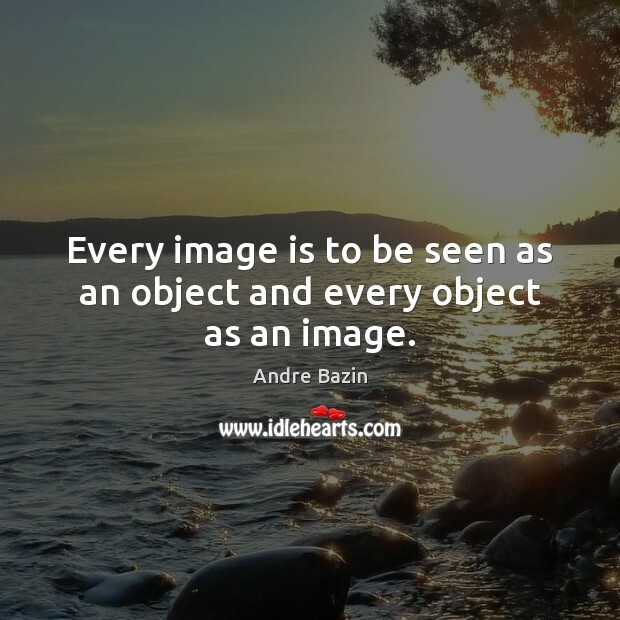 Every image is to be seen as an object and every object as an image. 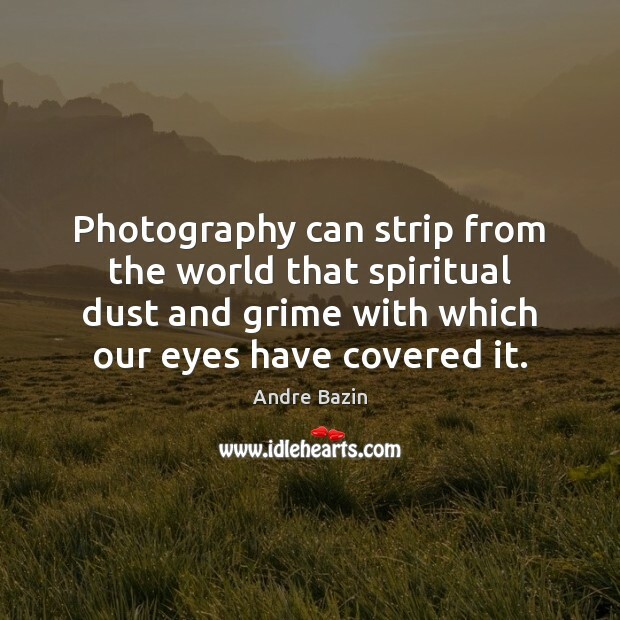 Photography can strip from the world that spiritual dust and grime with which our eyes have covered it. 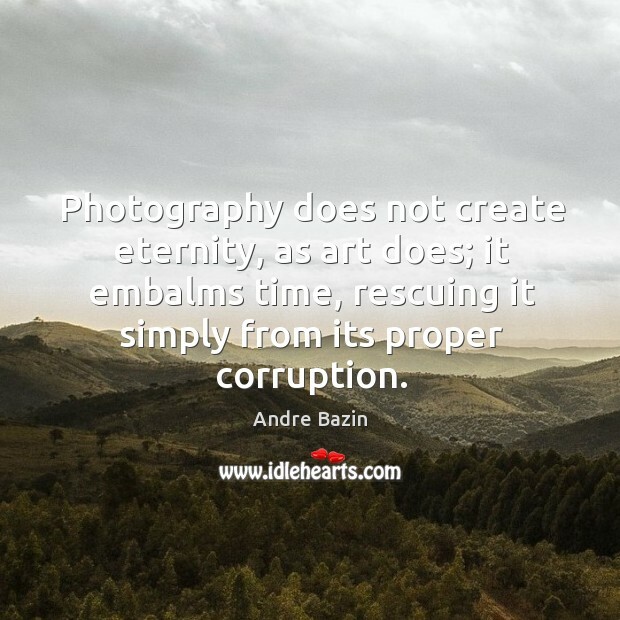 All the arts are based on the presence of man, only photography derives an advantage from his absence. 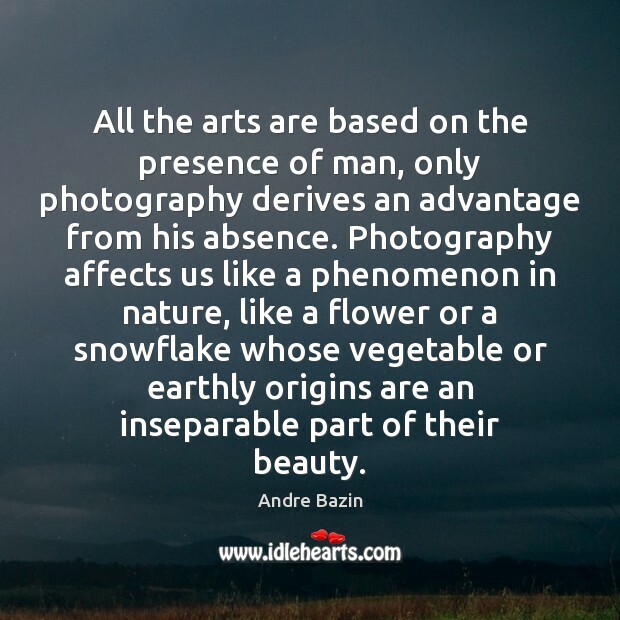 Photography affects us like a phenomenon in nature, like a flower or a snowflake whose vegetable or earthly origins are an inseparable part of their beauty. 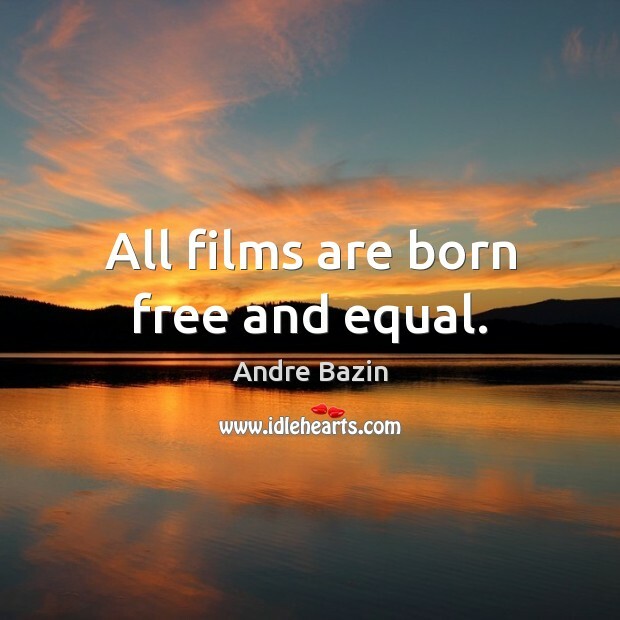 All films are born free and equal. 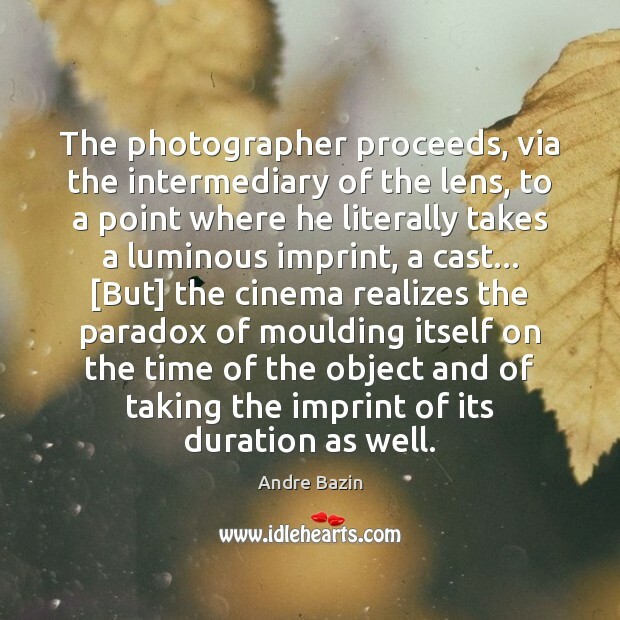 The photographer proceeds, via the intermediary of the lens, to a point where he literally takes a luminous imprint, a cast... [But] the cinema realizes the paradox of moulding itself on the time of the object and of taking the imprint of its duration as well. 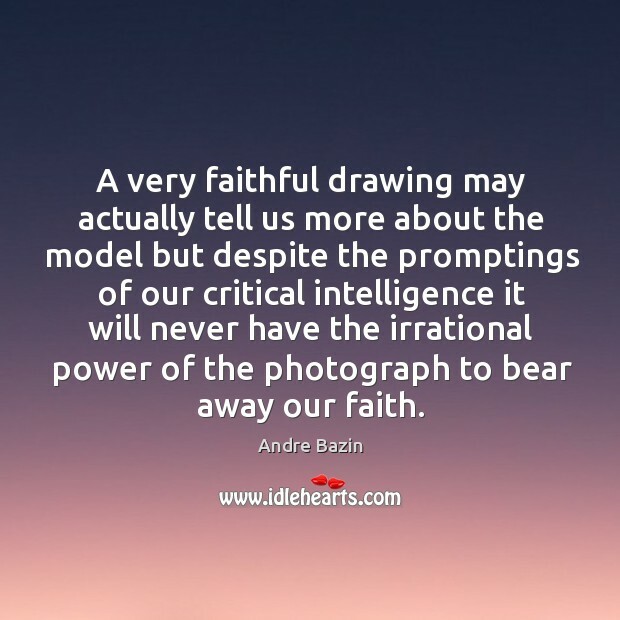 A very faithful drawing may actually tell us more about the model but despite the promptings of our critical intelligence it will never have the irrational power of the photograph to bear away our faith. 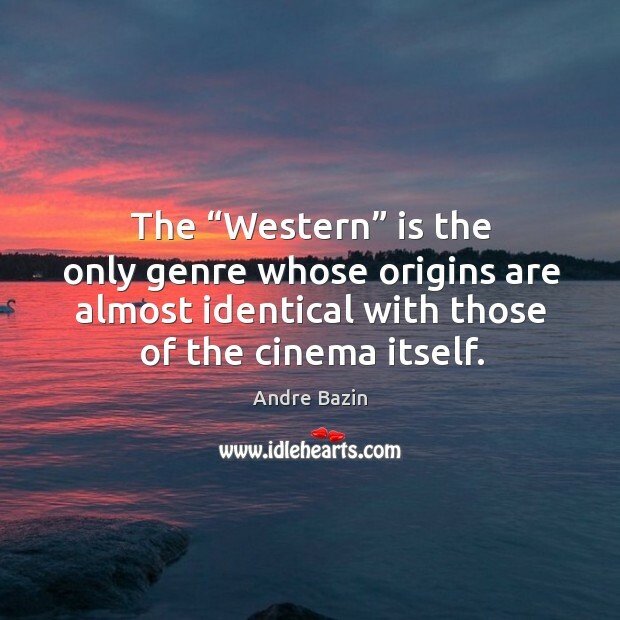 The “Western” is the only genre whose origins are almost identical with those of the cinema itself.